Robert “Bob” Otto is has led a life of service, first (left) in the U.S. Army receiving the Purple Heart, and currently (right) as president of Integra, a business partnering with USAID to combat wildlife trafficking around the world. In recognition of Veterans Day, USAID celebrates its partnerships with U.S. Veteran-Owned Small Businesses in our collective efforts to promote global security and prosperity. I have not personally served in the U.S. military, but three of my four grandparents served in the U.S. Army and U.S. Navy during World War II, and my father is a retired Colonel from the Army. While my immediate family’s military service is behind them, I look forward to learning more from my new work family. I recently joined USAID’s Office of Civilian-Military Cooperation, where I have the honor to work alongside a number of dedicated USAID and military professionals. I have seen firsthand the sacrifices that our service members make to protect our freedom and make the world a better place. Before becoming a member of the civilian-military team, I spent three years working in USAID’s Office of Acquisition and Assistance. In that role, I had the opportunity to meet a number of veterans who established their own small businesses after their military careers. While many of these small business owners have been out of the military for a long time, they have continued their life of service to our country and to others. As business owners with USAID contracts, military veterans contribute to our work in food security, education, information technology, global health, democracy and governance, and economic growth. In the last fiscal year, almost 10 percent of the Agency’s small business dollars were awarded to veteran-owned companies. Count Integra among that elite group. The environmental consultant company was founded by Robert “Bob” Otto in 2010. Otto served our country in the U.S. Army as a scout helicopter pilot with the 1/9th, First Air Cavalry, during the Vietnam War. He deployed to Vietnam at the age of 19, and after a month in-country, he was shot down. Otto’s helicopter was completely destroyed and he was medevaced to a first-level casualty station. After spending five weeks in hospitals across Asia, he was transferred to Walter Reed National Military Medical Center where he underwent multiple surgeries and physical rehabilitation until he was medically retired. Otto transitioned to civilian life by first obtaining bachelor’s and master’s degrees with help from the U.S. Department of Veterans Affairs before setting out in search for work in environmental management. Today he is motivated by the opportunity to serve his country again. Otto also stressed the opportunity to collaborate with innovative and dedicated people to help those in need. Integra has worked with USAID on a number of projects, and is currently at the end of implementing the Agency’s Wildlife Crime Tech Challenge. 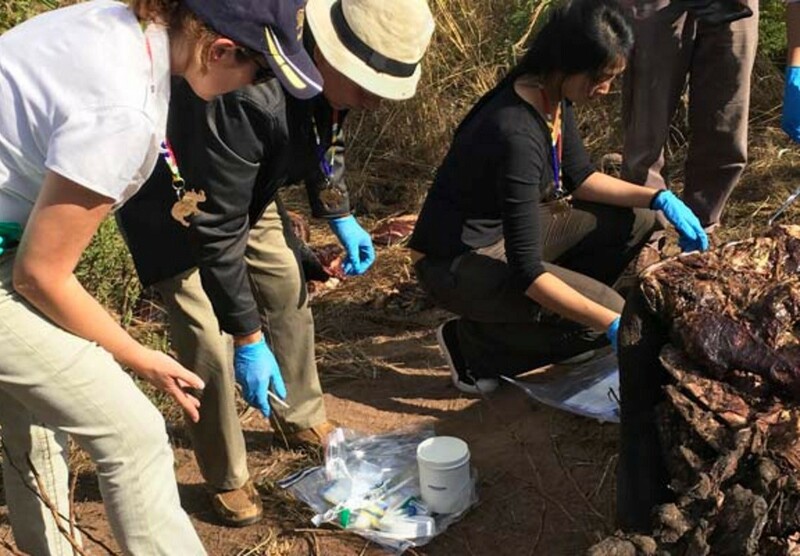 USAID launched the challenge in partnership with the National Geographic Society, the Smithsonian Institution and TRAFFIC to seek science and technology solutions to combat wildlife trafficking. 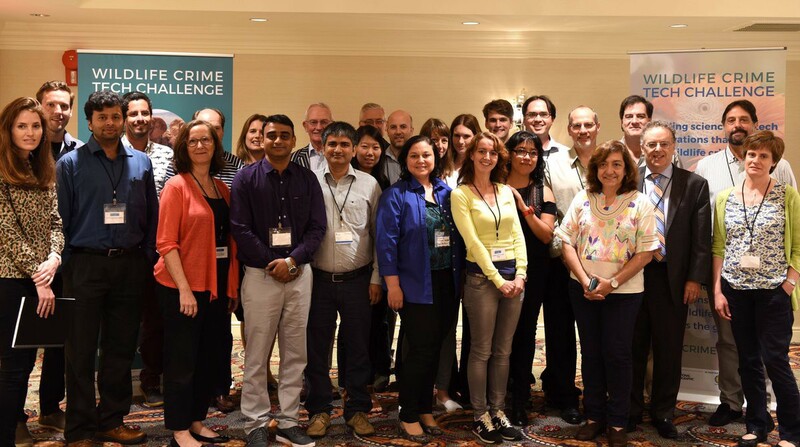 Integra created a web platform to educate the public about the crimes, as well as to attract applicants from all over the world to compete in the challenge for prizes, which included cash awards, grants, networking opportunities and technical assistance. The challenge received approximately 300 applicants from 52 countries. Fifty-three percent of those who applied were new to the conservation sector and over 85 percent were new to USAID. Integra helped to establish 43 partnerships and secured almost $3 million in funding for 16 prize winners as of July. As a result of the technology challenge, solutions will be leveraged to improve efforts to combat wildlife trafficking around the world. The Agency can truly benefit from the expertise and skills of veteran-owned businesses. Most recently, USAID partnered with the Virginia Procurement Technical Assistance Program to host the 4th Annual Veterans International Small Business Opportunities Conference. The event provided an opportunity for current and potential veteran-owned small businesses to interact with senior leadership from USAID, the Department of State, the Overseas Private Investment Corp. and the Millennium Challenge Corporation. This year on Veterans Day, I want to take a moment to say thank you to all of the veterans who continue to serve our country, and highlight the important role that they play in helping USAID achieve its mission. About the Author: Rachel Chilton is the strategic communications and outreach specialist for the Office of Civilian-Military Cooperation within the Bureau for Democracy, Conflict and Humanitarian Assistance at USAID. Check out more on USAID’s work with other U.S. Government agencies and the military.